Wow! Can you believe it's the end of March?!? This read-along has been a blast. 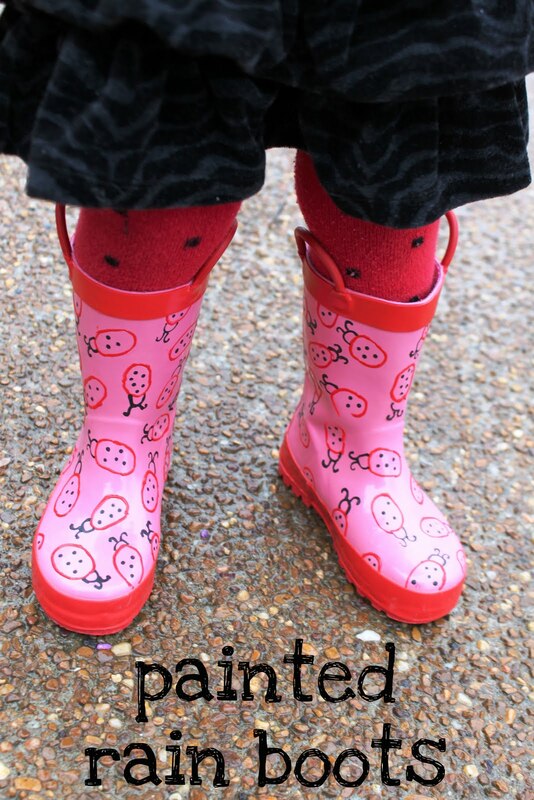 I've got a couple more book themed posts for you tomorrow, but I'd like to present Jen from My Own Road as our last Read-Along Guest Post! 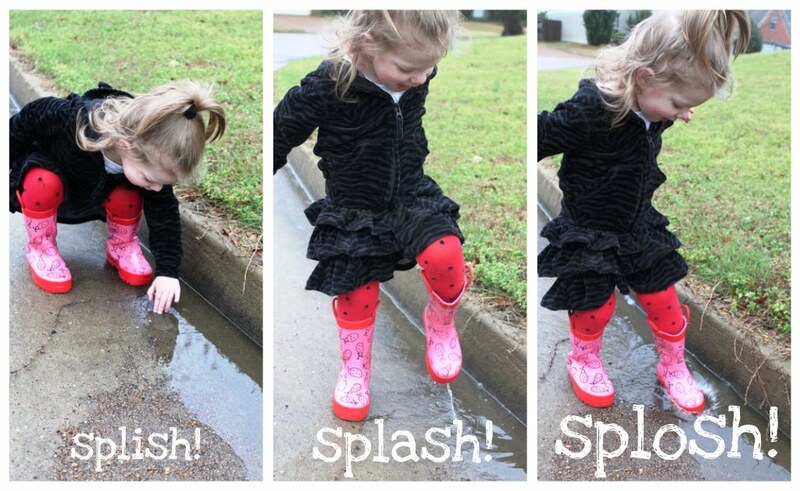 I have always loved all the cute children's rainboots you see this time of year, but they can be so expensive. 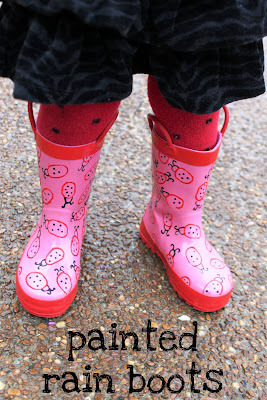 I love what Jen came up with...Painted Rainboots to go with The Rainy Day by Anna Milbourne and Sarah Gill.